Riding my bike was my favorite pastime when I was younger. There were numerous summer days where I cruised around my neighborhood without a care in the world. I loved lazily circling the neighborhood, or racing my friends. Cycling is still a pleasure, but I was not worried about exercise when I was child. I did not need to calculate my distance because I was not allowed to wander too far past my neighborhood. Bicycling is a key part of how I stay in shape so I am more mindful of my treks than I was as a child. Fortunately, keeping track of my progress is easy with MOTOACTV. I take this little device on all my rides to monitor my distance, speed, and more. When I was a kid, I used to guess how fast I was going when I pedaled my hardest or went down big hills. Thankfully, I do not have to rely on guesswork anymore. The Motorola fitness tracker records everything I want to know. The GPS system tracks my route and tells me my distance and time. It also monitors my speed, heart rate, and calories burned. This lets me see what I have achieved after every ride and helps me plan better for my next trek. This is only one way MOTOACTV motivates me to do my best. Technology has changed since I was younger. I could not ride around listening to tunes quite as easily as I can today. The Motorola fitness tracker has a built in MP3 player. I love listening to music and this makes my workout go faster. The tracker is the perfect companion to my workout mixes because it pays attention to which songs motivate me the most. When I hit a lull, the player starts one of my favorite songs to keep me going. 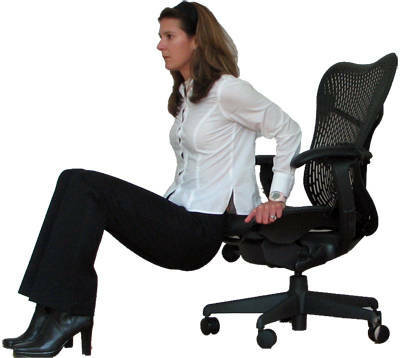 The best thing about this gadget is how convenient it is. The whole device is easy to clip onto my handlebars with the Motorola bike mount. I do not have to worry about where to carry it or fear that it may come loose. This also makes it simple to see my progress and adjust the music. I will always enjoy bicycling. However, the way I ride is different from when I was young. I still have fun, but I have better tools. I never leave home without the Motorola bike mount or MOTOACTV. There are several benefits that a person is going to see if they make running a part of their life. 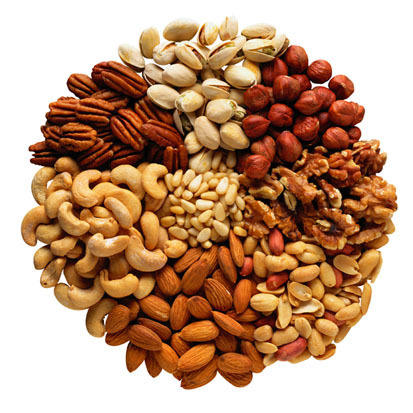 First, the person is going to be at a lower risk of health issues and any severe illnesses like depression, osteoporosis, diabetes, high blood pressure, heart disease and heart attacks, stroke, and arthritis along with a variety of cancers like breast, ovarian, and colon cancer. This is because the running can help to build up a person’s immune system. A person is going to be able to handle their stress a lot better than they used to. This is because a person has the ability to get away from all of the hassles of life that can cause stress. Therefore, a person is going to be able to relax their mind. Plus, running can make a person feel a lot better about themselves. Some of the main things that a person can get stressed out about in their life is their job, their children, or their relationships. While running, a person is going to have the ability to clear their mind of all of the day’s events. Therefore, a person is going to feel like doing more things with their family since they are going to have more energy than they have ever felt before. Plus, a person is going to be able to do their job a lot better with a clearer mind. This is because they are going to be able to concentrate more on the job. Another benefit is that a person is going to be able to sleep a lot better. The running could make a person tired so they are going to be able to fall asleep a lot quicker. The person is also going to be able to sleep a little bit longer with a better quality of sleep. Therefore, in the morning a person is going to feel a lot more refreshed. A person is going to feel like they have a greater sense of achievement. This is because a person’s physical and mental health is really going to start to get better over a period of time. Therefore, a person’s life is going to improve by a lot. A person is always going to feel like they have achieved something when they are no longer wasting their days by doing nothing with their life. Also, a person is going to feel like they are a lot more attractive. This is especially true for a person that loses a lot of weight because of the running that they do on a regular basis. This is because the person is going to look a lot more toned and athletic when they have been running for awhile. Plus, a person is going to be a lot healthier and have a good body weight on them because of the running. The seventh and final benefit is that a person is going to have a way better mindset on them if they have been running for awhile. Therefore, a person is going to be able to enjoy their life a lot more. This means that they are going to get a lot more out of their endeavors. Plus, everyone else in your life is going to be able to enjoy being around you. This is because you are going to be a much happier person. When I finally made the decision that this was time that I got serious about losing weight and getting back into shape, I decided I would give running a try. While I certainly did not start out being much of a runner, I did progress with time and have really come to enjoy my workouts. 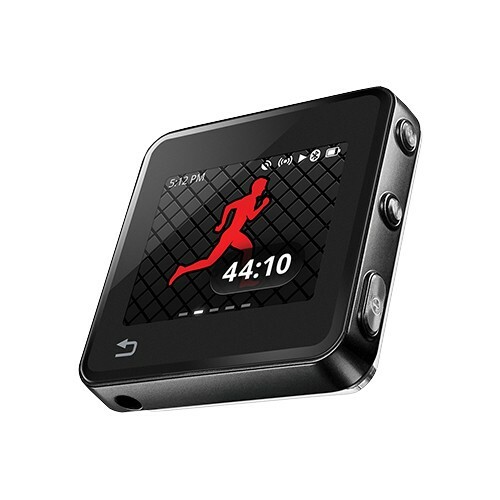 One of the best things I did was to purchase a Wahoo Fitness BlueHR heart rate monitor. This little Wahoo monitor allows me to keep track of my progress and it provides the impetus I needed to keep me on track and moving forward. One of the major benefits with the Wahoo Fitness monitor is that it allows you to not only keep a check on your heart rate, which is ideal for ensuring that you get the best workout possible, but it also gives you the flexibility of being able to add various features, such as a stride sensor. I love the fact that I can use my Wahoo Fitness BlueHR heart rate monitor with my iPhone 4S. This amazing little feature lets me run wirelessly and the built in Bluetooth technology sends the information from my Wahoo monitor directly to my iPhone. Talk about convenient! I was surprised to find the many apps that work with this amazing Wahoo Fitness monitor. In fact, I use a number of different apps, but my favorite, so far, is the mapping app called MapMyRun. This is a really handy tool that not only maps my run, but after inputting my height and weight it now keeps track of how many calories I have burned during my workout. 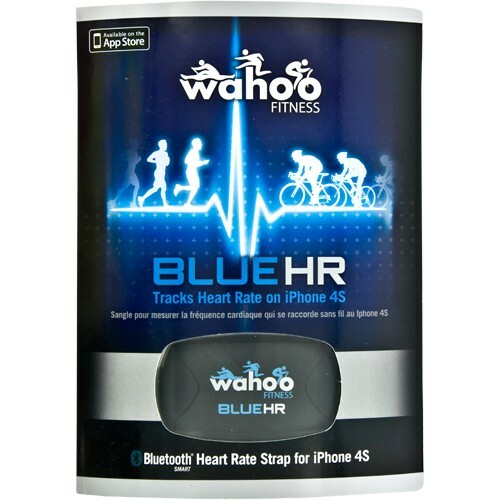 There are certainly lots of other great apps that I also like to use with my Wahoo Fitness BlueHR heart rate monitor. For example, the 3, 2, 1 Run app records my GPS coordinates as I run and the iBody app is perfect for tracking my running routes and distance, as well as my blood pressure, weight, body fat, cholesterol and of course, the number of calories I have burned. Finding a Wahoo monitor that can keep me motivated and losing weight has been the biggest factor in helping me to achieve my weight loss goals. Of course, I still have a ways to go, but this gadget gives me the incentive and motivation I need to keep moving and I have been able to gradually increase the length of my runs as well as the intensity of my workouts. I have a confession to make: I am a total Olympics nerd. When the Olympics are on, I will watch anything that happens on television that has anything to do with the Olympics. You name the sport or the newscaster, if there are five colored rings and that famous “Ba Baa Ba Ba Ba Baa Bammm” theme music playing, I’m watching, fascinated. Now the London 2012 Olympics are almost here and I could not be more excited. I love the Winter Olympics, of course, but part of me adores the Summer Olympics even more. While this may sound shallow, part of the reason I enjoy the Summer Olympics is my not-so-secret admiration for the athletes. Specifically their beautiful, strong, healthy bodies. I think you know what I mean. Watch the swimmers this summer at the London Olympics. Look at their lean muscles, firm, clean lines, and the power with which they pull themselves through the water. There is a beauty to the sport and the athletes that is very real and very simple. Of course, this applies to other sports at the 2012 Olympics as well. Those track and field runners are astounding in their speed and strength. The men and women performing those twists and turns in the gymnastics arena may be small, but they are compact and they are tremendously talented. There is nothing like someone defying gravity through pure athleticism to make me feel proud, jealous, and nearly speechless with admiration. Another reason why I am looking forward to the London Olympics is the fact that these athletes inspire me. I find it very difficult to be happily lapping a bowl of ice cream into my mouth while I watch these men and women who are the very embodiment of a healthy lifestyle and the best of American sports. Instead, I will watch the 2012 Olympics with rapt attention and then I will lace up my running shoes and head outside for a nice long run. No one is going to mistake me for an Olympian around my neighborhood, not with my old workout clothes and steady-but-slow running pace, but in my mind, I do have something in common with those Olympic athletes. I enjoy feeling my body work and perform. I enjoy being healthy and strong. And while no one will ever put me on an Olympic team, I can feel a kinship with athletes around the world who enjoy and maintain a healthy lifestyle. There is, after all, something of an Olympian in all of us.